Doraine Bailey and John Moses received Kentucky Public Health Association awards April 26. We salute them for their work in helping Lexington be well! Congratulations to our Doraine Bailey, the 2018 winner of the Kentucky Public Health Association’s Helen B. Fraser Maternal and Child Health Award, given annually to honor someone who has made an exceptional contribution to the health and well-being of mothers and children in Kentucky. Doraine, an International Board Certified Lactation Consultant, received the award for her work educating Lexington parents about the health benefits of breastfeeding. Doraine Bailey will talk to anyone, anytime, anywhere about the benefits of breastfeeding. In some situations, this could potentially be awkward, but Doraine has an innate ability to disarm discomfort, making the conversation as relaxed and natural as the topic itself. In my time at the Lexington-Fayette County Health Department, she has conducted numerous interviews, often with little notice. It doesn’t matter – she can fill an hour-long interview or a 30-second soundbite with ease, providing the information in easy-to-understand language. Recently, Doraine has given special consideration to groups who have traditionally been outside the standard breastfeeding conversation. She wants to make sure every parent, no matter religion, ethnicity, sexual orientation or income background, feels part of the benefits offered by breastfeeding. By learning more about their backgrounds, including potential obstacles, she is able to speak more directly to the potential clients, allowing their voices to be heard, reminding them that they are important to us. pleasure I nominate Doraine for the Helen B. Fraser Maternal and Child Health Award. Congratulations to our John Moses, the 2018 winner of the Kentucky Public Health Association’s Paul Mason Memorial Award, given annually to honor a Kentuckian who has made a significant contribution to benefit our most vulnerable population – the indigent and uninsured. 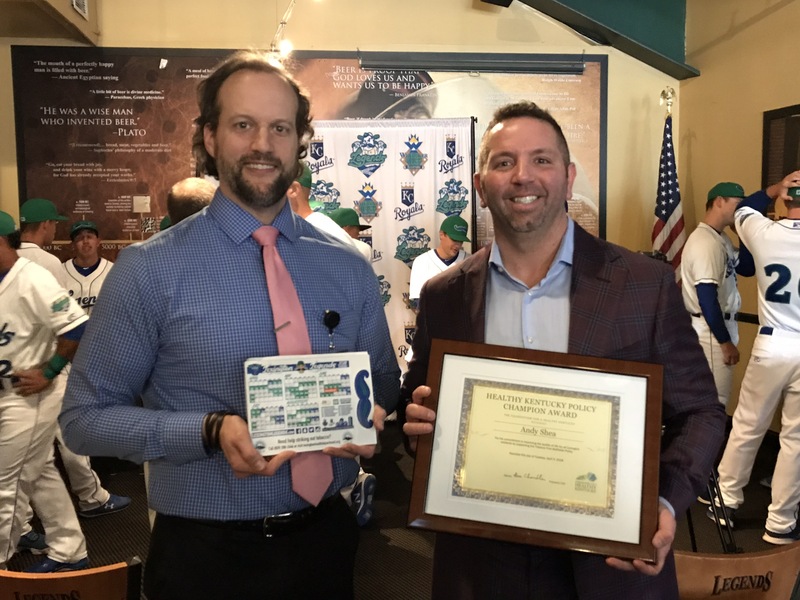 John, who is a linkage navigator ensuring HIV patients get into medical care, received the award for his contributions to Lexington’s needle exchange program! Since opening in September 2015, our program has served more than 2,200 individuals, all of whom have their own stories, unique to them despite their shared addiction. Some are homeless; some are professionals; some are young, fresh-faced, almost as if they arrived straight from the University of Kentucky’s campus; some are older, weathered, withered, their bodies likely belying their actual age. All, however, are human, a fact we are reminded of time and again, even (perhaps particularly) whenever we get too bogged down in the numbers of our program. Sure, the epidemiology side of the program is amazing — all the used needles taken in, the hepatitis C and HIV tests given – but there are some things you can’t measure: chances, second, third, beyond; lives changed; lives saved. How do you measure the look on a mother’s face when they thank us for what we’ve done, what we’ve provided? That’s why I’m honored to nominate for the Paul Mason Memorial Award, given annually to honor a Kentuckian who has made a significant contribution to benefit our most vulnerable population – the indigent and uninsured – the man who first said the above quote to remind of us the humanity we serve: John Moses, of the Lexington-Fayette County Health Department. The Tuberculosis (TB) team works hard to provide Direct Observed Therapy (DOT) to patients receiving treatment for TB treatment. The standard regimen is six to nine months. However, due to challenges that they must overcome they sometimes work longer to provide medications to those patients. This week they celebrated the hard work of TB nurse Donna Lassanske and the rest of the TB team as a difficult case was completed. 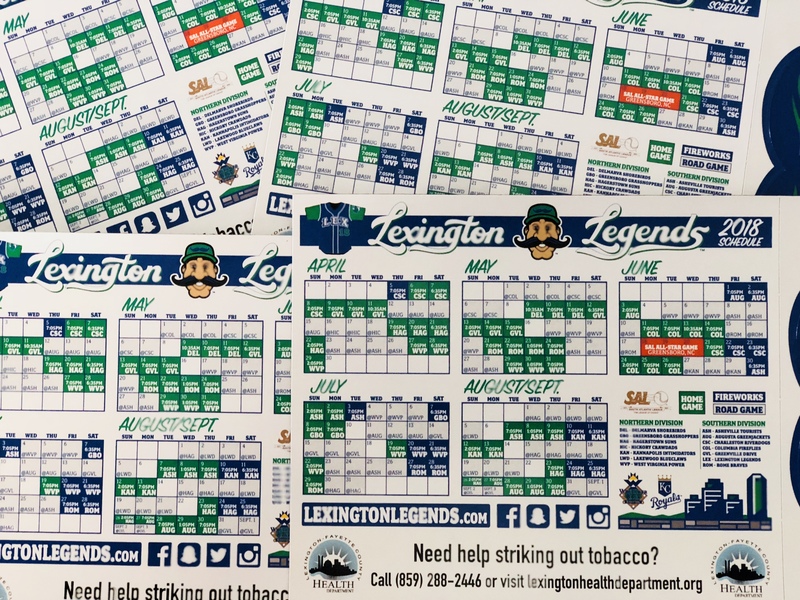 The Lexington Legends announced Tuesday that Whitaker Bank Ballpark will be 100 percent tobacco-free this season! 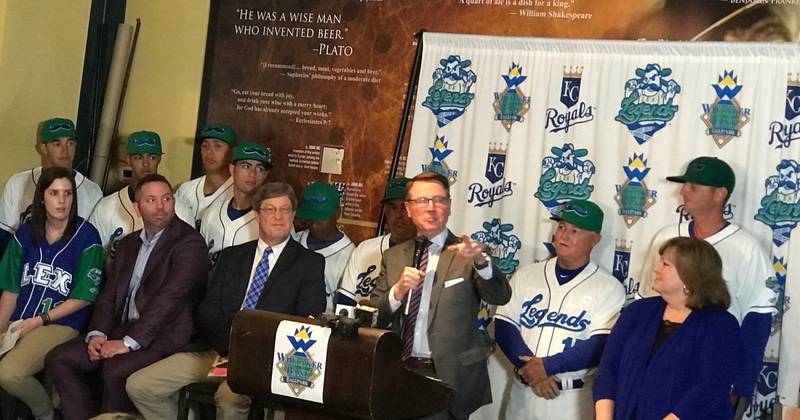 Legends President/CEO Andy Shea and our Kevin Hall celebrated the organizations’ partnership at the team’s media event held at the ballpark. Be sure to look for our information on the team’s schedule magnets being given away Friday night at the ballpark! The first annual HANDS “Eggstravaganza” for HANDS families was held March 22 in the Dr. Rice C. Leach Community Room. Approximately 25 families participated in the event with over 40 children in attendance. The event featured egg hunting, games, and crafts. The “Eggstravaganza” was a huge success and fun event for everyone involved.